Pfc. James K. Carter, son of Mrs. Ida Carpenter, Loving, attendedLoving Schools. Entered Army, 1942, trained at Ft. Sill. Served in S. Pacific. Awarded APO Ribbons with 4 Battle Stars, Inf. Bage, Rifle Badge with 3 Ribbons. 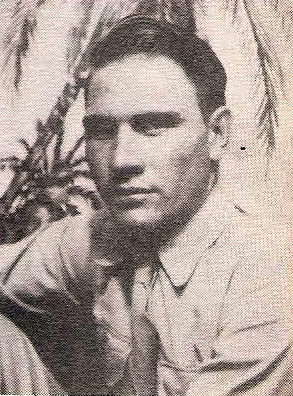 Killed in Panay, 1945.